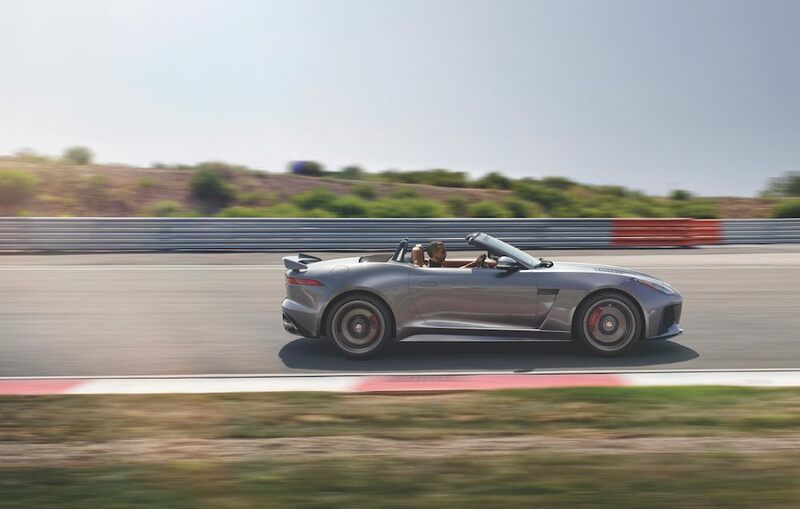 Boasting a 5.0-liter V8 engine, the F-Type SVR is more than just a pretty face, accelerating from 0 to 60mph in just 3.5 seconds on the back of 575PS power output and 700Nm of torque. It is also lighter than its predecessors and benefits from an enhanced chassis and driveline. “The purity of the F-TYPE’s form is something truly special, but in designing the new F-Type SVR we had the opportunity to create something even more dramatic,” said Jaguar’s Director of Design, Ian Callum, of its range-leading creation. “Every additional form, line or component is there for a reason and contributes to the car’s increased performance as well as its presence. 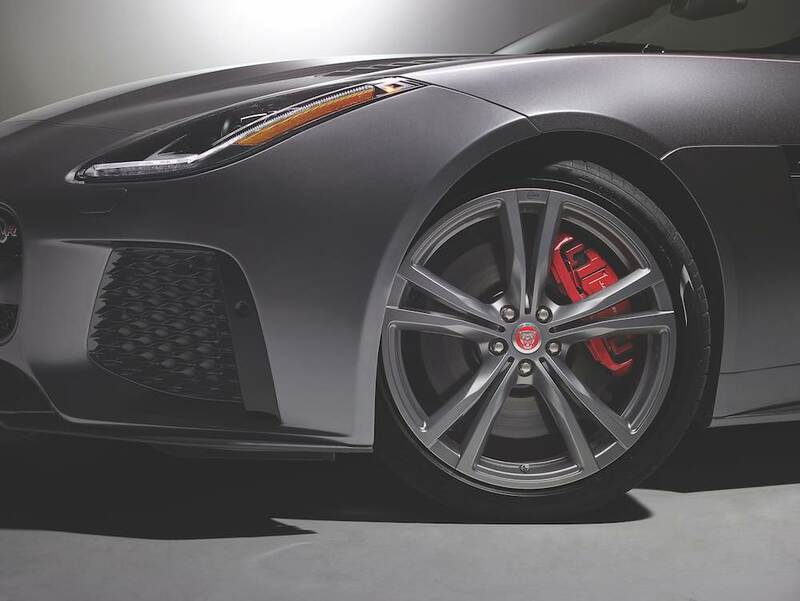 The F-Type SVR is naturally 25 kilograms lighter than a standard F-Type and can be up to 50 kilograms lighter when options such as the Carbon Ceramic Matrix brake system and carbon fiber roof are added. These fundamental improvements are matched by a raft of other hardware and software changes designed to extract the full potential from every part of the chassis. 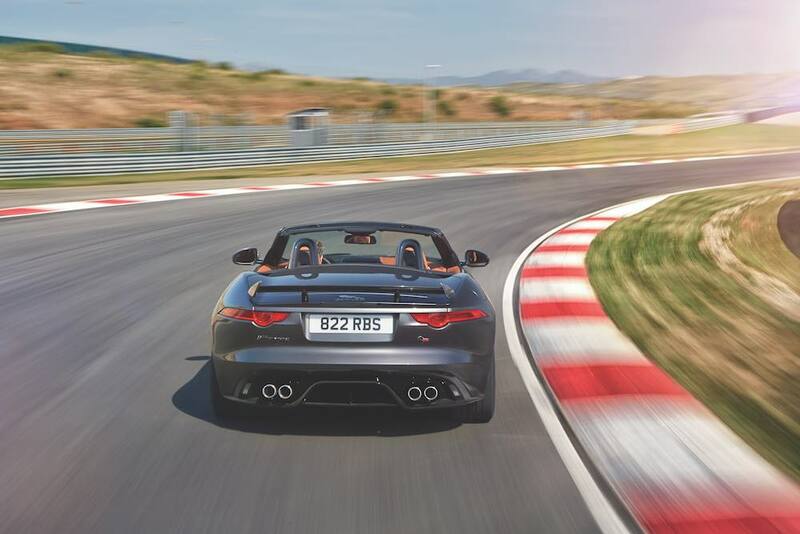 The rear anti-roll bar is thicker, the valves inside the continuously- variable dampers have been revised and the control software – the heart of Jaguar’s Adaptive Dynamics system – has been recalibrated. The overall effect is that both low speed comfort and high speed control are improved. An enhanced braking system including large 380mm braking discs, matched with specially developed wide tyres, add to the vehicle’s precision performance. Of course, the body itself will turn heads as much as the roar of the engine. Standing out from a variety of impressive aerodynamic design features is the F-Type SVR’s rear wing. With the car in “Normal” mode, the wing deploys once vehicle speed reaches 60mph – or 70mph for the Convertible and Coupé versions. The wing will also deploy automatically whenever the driver selects “Dynamic” mode. In this raised position, the wing, together with the other aerodynamic enhancements, enables a reduction in the F-Type SVR’s drag and lift coefficients of 2.5 percent and 15 percent respectively. When the SVR’s wing is in the lowered position, the corresponding improvements are 7.5 percent and 45 percent. Like the legendary predatory animal that the brand is named after, the Jaguar F-Type SVR is a study in power and sleek beauty.